The Austin real estate market continues to boom, and in fact, is hitting record sales. Between January and the end of April, more homes sold in 2016 than any time in Austin history. 2016 even surpassed the prior two highest years of 2006 and 2007. For homes sales by zip code and price band, take a look at our latest real estate market report. 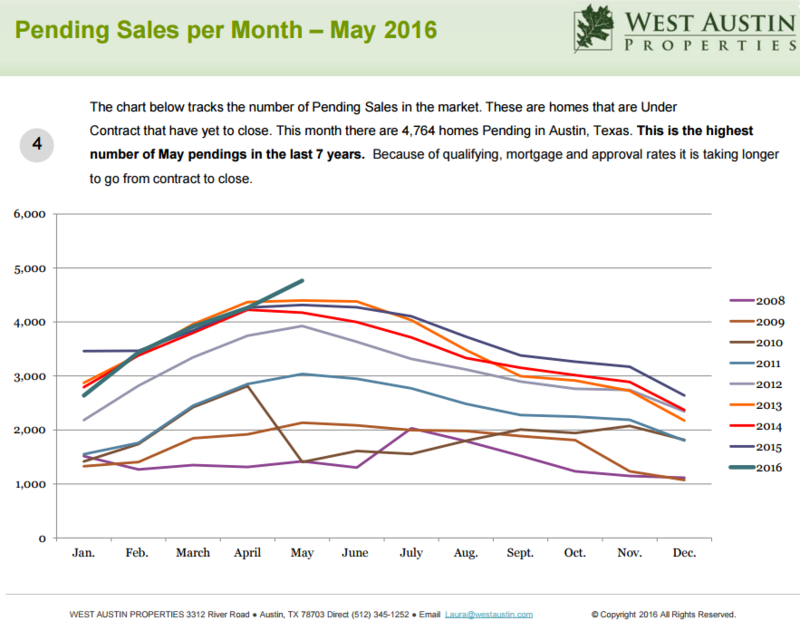 4,764 homes are currently pending, the highest number of pendings in Austin history for any month. Inventory is higher this year and that is helping boost those pending numbers. In fact, if we had more inventory, we know we’d have more home sales as we are still seeing multiple buyers compete for our listings and other buyers competing with our buyers for homes. There are currently more homes for sale than the previous three years. There are 13.88% more homes for sale now than last year at this time. 47% of all Austin homes listed for sale are priced under $400,000. 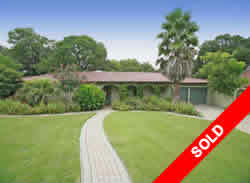 At all price ranges under $400,000 the market is an “Extreme Seller’s Market” resulting in High Appreciation. There are now only 119 homes listed under $100,000 in the entire Austin area, representing 2% of all homes listed. 40% of all Austin homes listed for sale are priced between $400,000 and $1,000,000. At all price ranges in this price band, the market is defined as a “Normal Seller’s Market”, with Moderate Appreciation. 13% of the Austin homes listed for sale are priced over $1,000,000. In every price band over $1,000,000 thee are so few sales compared to inventory that it is defined as an “Extreme Sellers Market” with High Depreciation. Interests rates remain at record lows. Only three times in history have rates been any lower. Conventional rates are running around 3.6% and qualifying is easier this year than last year because some of the lending guidelines have been relaxed. Of the homes that sold in April, the average number of days they had been on the market was 44 days. This is 13.73% LESS than a year ago. Historically during May and June, the number of homes sold each month increases, pending sales start leveling off, the total number of homes for sale increases, and the average days a home is on the market before being sold decreases. Historically starting in July or August, the number of homes sold each month, the number of pending sales, and the number of homes for sale begins to decline. Days on the market for homes sold begin to increase. Affordability in Austin Five years ago in 2011, 41% of all home for sale were priced under $200,000. Today only 10% of all home for sale are priced under $200,000. And 5 years ago there were more choices for buyers with 3931 homes to choose from. Today there are only 525 listed for sale under $200,000. 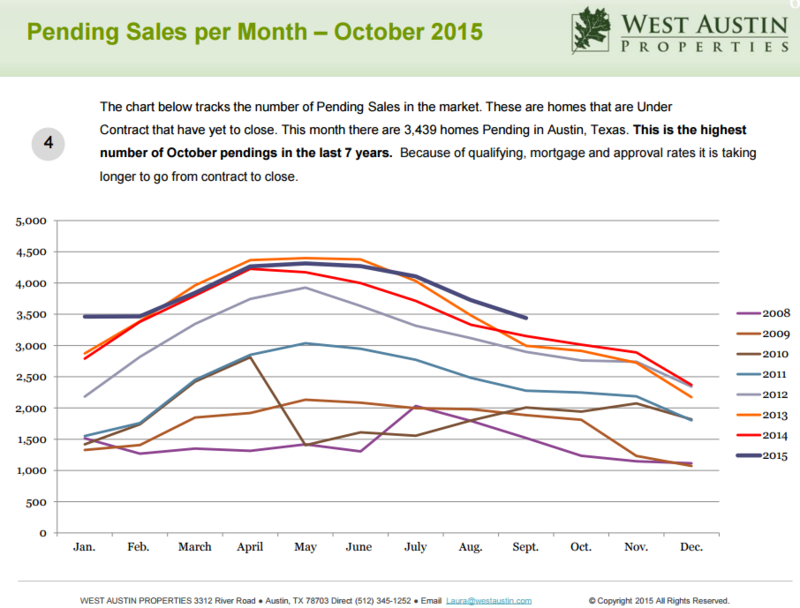 It is still a great time to buy or sell a home in Austin, Texas! We would love to assist you with all of your real estate needs. 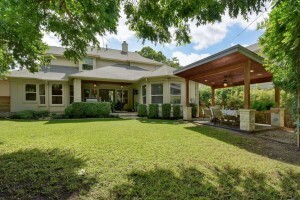 Posted by Laura Duggan, West Austin Properties, 3312 River Road, Austin, Texas 78703, 512-750-2425. 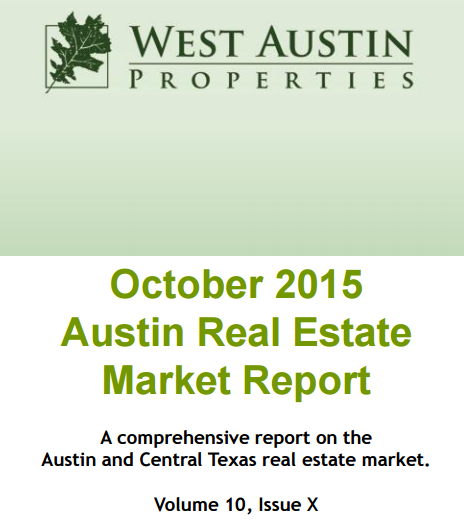 As we begin the new year, the Austin real estate market continues at a strong pace. The average sold price in our market is up 12.4% over the same time last year, and more homes sold in December than in any previous December. 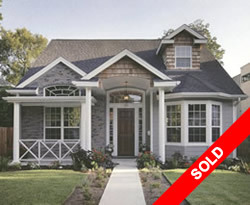 In fact, our holidays were filled with more buyer showings and closings than in recent memory. Take a look at all of the sales by zip code and price band in our January 2016 Real Estate Market Report. Demand for homes is still high with the consistent growth in our city causing homes to continue to appreciate at sometimes double digit rates. Even in the first week of January our buyers have been competing for houses that have received multiple offers, a phenom that usually takes place during the spring and summer months. For the last 6 months, pendings have been at record levels. Currently, there are just under 5000 homes on the market in the Austin MLS., a few more than in the previous two years but still way short of normal. 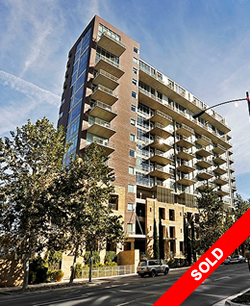 That number translates to an average of 2.3 months of inventory, still a buyer’s market. Dr. Ted Jones, Chief Economist at The Real Estate Center at Texas A&M, gave Austin a “full speed ahead” rating for Austin in 2016 today at his Outlook for Real Estate and the Economy because of our strong job growth. Jones reports that we have more jobs than ever before in our history and that our retail boom is just beginning. Income here went up 6.6% of last year and new companies are relocating their headquarters and regional offices here. To those coming in, our real estate is still a bargain compared to the places they are leaving. Jones also predicted that the Austin market won’t be affected by rising interest rates, that he said would reach 5.5% or by the oil industry because of our growth. Real estate is local. If we can help you with an equity analysis of your current home or help you start building equity in another one, please call on us. We are all natives and happy to help you with all of your real estate needs. As Jones pointed out, real estate has proven time and again that it is the very best investment one can make. That certainly proves true for Austin, Texas. As of October 3rd, there is a new Federal rule (the TILA-RESPA Integrated Disclosure rule) that governs lenders who make mortgage loans to consumers. The old rule required lenders to give 3 loan disclosures to home buyers–the Good Faith Estimate (GFE), the Truth in Lending (TIL) and the Settlement Statement (HUD). The Feds thought these three were confusing to borrowers and have replaced them with two new disclosures. The new rule also requires all lenders to use the same loan application and disclosure form called a Loan Estimate form. 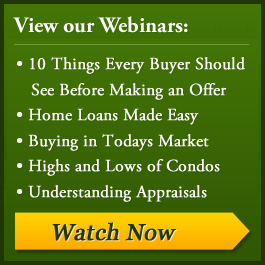 The idea is that buyers can more easily compare lenders’ rates and fees. The second one is the Closing Disclosure, which replaces the Settlement Statement (HUD). These new disclosures require new processes. Another change is that your real estate agent will have to get permission from their client in writing on a promulgated form for the lender or the title company to release any information to them. We will provide these forms to our clients when we prepare our representation agreements. What do these changes mean for our clients? The entire process is going to take longer. Financing and closing a home used to take 30-45 days. Now, we expect it to take 45-60 days from contract until to consummation to close a loan. We can, however, recommend a number of excellent (and honest!) lenders who can provide the proper disclosures and get loans closed in the most timely manner possible. The learning curve will be steep for all parties, so working with a highly experienced lender will be important. As the days get shorter, Austin home sales are following normal Fall patterns with fewer sales and more days on market than other times of the year for most areas and price ranges. However, even though sales have declined for the past two months as they do this time of year, the market is still strong especially in the lower price points. The actual number of sales in September was highest of any September. August homes were on the market for the fewest days in Austin history pushing the number of pending home sales to the highest number of any September. Of the 4409 homes for sale valued at less than $500,000, almost half of them sold in September. This makes this price point an Extreme Seller’s Market with an average of only 2.1 months of inventory. Months of inventory increases as the price point increases. See Sales by Price Band in our full report. The very upper end of the market is not performing nearly as well. Of the 941 homes for sale over $900,000, only 63 sold in September giving us an average of 15 months of inventory. That is if no other homes came onto the market in this price range, it would take 15 months to sell them all. We call anything over 12 months an Extreme Buyer’s Market. At that rate, there is downward pressure on home prices while sellers compete for the next sale. 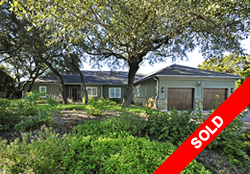 For the past three years we have seen overall appreciation in the Austin market, but this trend is slowing. The price increase in 2013 was 8.9%, in 2014 it was 7.1% and so far this year it has been 4.6%. Low interest rates and a robust job market have fueled the demand and appreciation for the past 3 years. What could change all of that? Real estate is, after all, cyclical. Lots of factors can lead to a dip in the market or at least further slowing of sales and appreciation. Some factors to watch are led by an increase in interest rates promised by the Federal Reserve Board for later this year. It wouldn’t surprise me if they started taking them up this month. A rise in rates usually impacts our stock market negatively and causes buyers in the upper end to be more cautious slowing sales in the segment. Falling oil prices could also be a factor especially here in Texas as jobs are lost in related industries. Look for job layoffs as a signal. Thankfully, we aren’t as oil dependent as we once were in our economy. 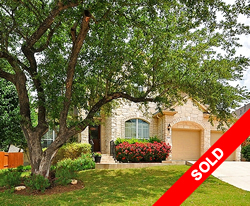 As always, we are happy to consult with you on the purchase or sale of a property here in the Austin area. We watch the market closely and are ready to serve you with all of your real estate needs. To look at the market by price band and zip code, take a look at our full October Real Estate Market Report. This well-designed home at 2504 Keating Lane is so special we wanted to feature it this week on West Austin Marketplace. Built by a small custom home builder with quality in mind in 2008, this Tarrytown home features gorgeous reclaimed antique heart of pine floors, walls of windows, and a generous open floor plan just shy of 4000 square feet. Only a few streets over from where my great grandparents built the first home on Indian Trail, this home is located where Keating, Janice and Townes Lane converge at a small grassy triangle. You’ll often see the neighborhood kids playing ball there or running from yard to yard. If you’re looking for a classic style with a relaxing ambiance, this home is the one for you. French doors off the foyer lead to an impressive study, previously used as a home office but with all of the built in bookshelves it could easily be a library or reading room–and it has a full bath nearby. 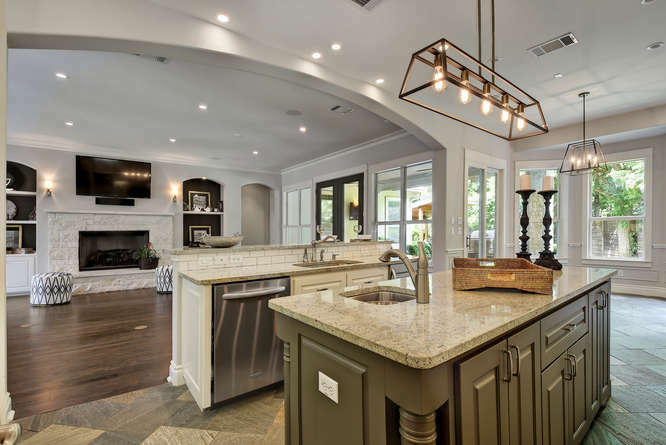 The chef’s kitchen though is the heart of the home with an expansive granite topped island, bar seating, and miles of counter space for food prep or cooking with friends. It even has a little wine fridge among the sleek stainless appliances. A spacious breakfast area incorporated into the kitchen lends itself well to a large table where the family can gather for meals or to do homework. Enjoy holiday entertaining and make some great family memories in the casual yet elegant formal dining room, an extension of the open living space. Lights around the tray ceiling and the modern chandelier can be adjusted to suite any mood or occasion. The luxurious owner’s suite on the main level features an elegant bath with soaking tub and jetted shower. Two separate vanities and two walk in closets provide ample space for residents to get ready for a busy day. Outdoor entertaining is fun with a covered living area off the kitchen with a built-in grill and sink. A big screen television shows the big game while steaks are on the grill. There is also a nice informal seating area great for nibbling on appetizers or serving burgers to the kids. Most of the lots in Tarrytown were traditionally cut small because they had smaller homes built on them. This home is situated on a lot and a half, and while the lot is smaller than many homes located outside of Central Austin, there is ample room for kids to play and even a dog run on the side with access to the laundry room. A recently added party pavilion is perfect for backyard parties or doing outdoor art projects. This space could also be converted to additional yard space at a buyer’s request. Upstairs, there are three large bedrooms with two full baths that share a large game room with extensive built ins, mini fridge and sink. There is also a separate media room that can be used as a gym or theater. There are endless possibilities for all of this space. This home is perfectly located several blocks from Triangle Park and is convenient to Tarrytown and Casis shopping centers, the Howson Branch Library, the Post Office, Move Austin Fitness, Starbucks, Randalls Grocery and Casis Elementary School. E-mail katyfreshour@gmail.com or call 512-826-4316 for more information or showing.